Treat the Bride to something special! 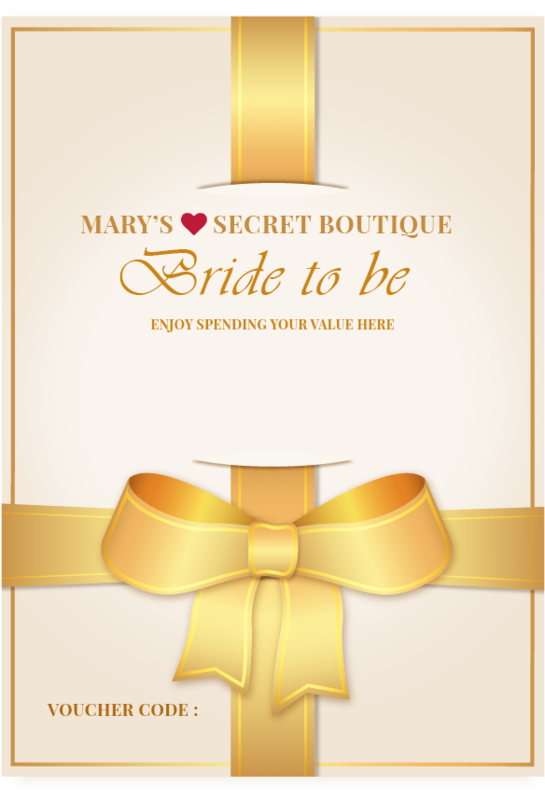 A Mary’s Secret Boutique gift voucher will show that you care while allowing them to indulge themselves while browsing our luxurious and sensual intimate designer wear at their leisure. They have a three year expiry date so can be used with plenty of time. 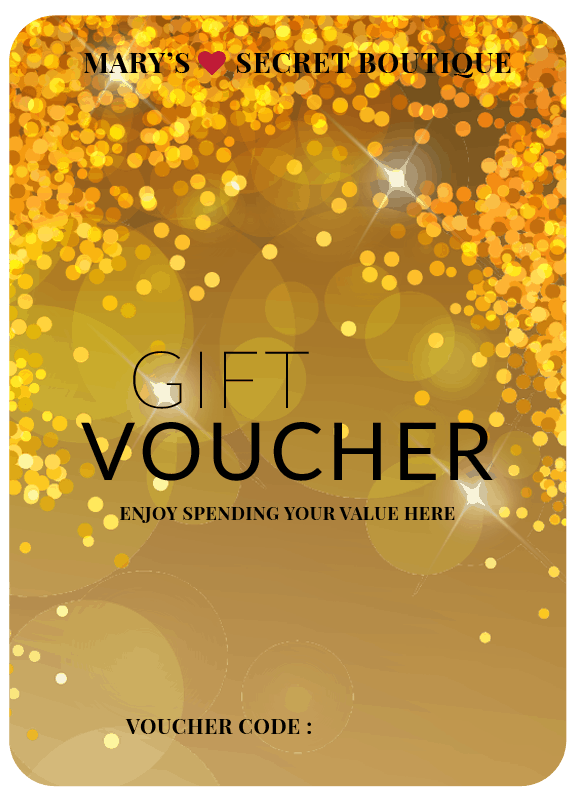 Your voucher will be sent to via email (just select who you want it sent to) for immediate delivery or if you want to receive a high quality printed voucher via post, please add a request in “order notes’ at check-out or send email to sales@maryssecret.com.au after check-out.